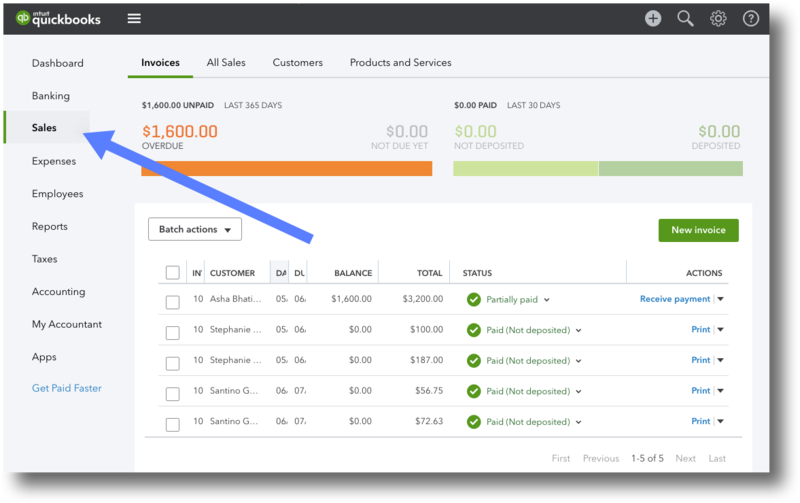 Once you've integrated HoneyBook with QuickBooks and selected your default QuickBooks account, any payments you receive in HoneyBook will automatically sync with your Quickbooks account. Pretty magical. 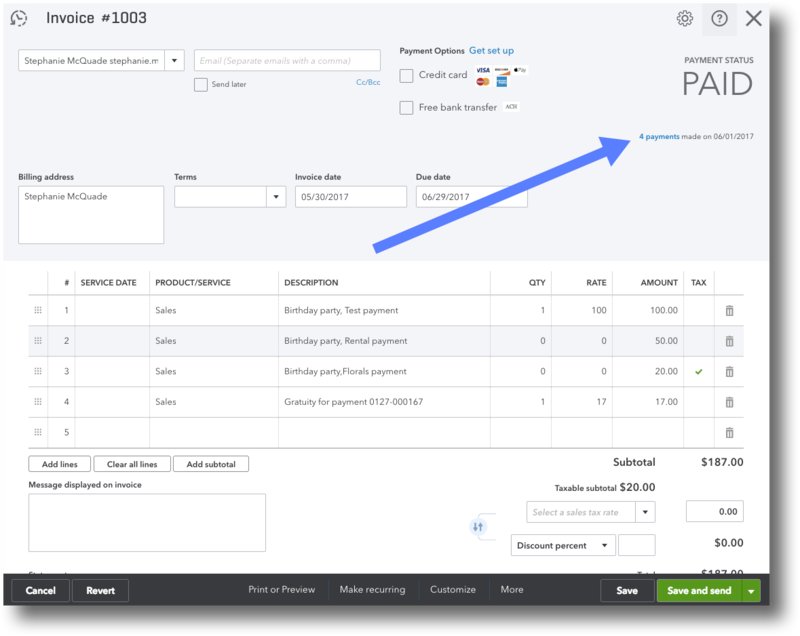 With this integration in place, you can view all HoneyBook payments received in QuickBooks by clicking on the Sales tab from your QuickBooks Dashboard. Once you're in the Sales section, you can click on any invoice for more information. Within the invoice, you'll be able to review the services that the client is receiving, which should match the service names that you've listed in HoneyBook. If your payment schedule in HoneyBook includes multiple payments, you'll see the number of payments submitted thus far in the top right corner. You can also click this link to view more information for all payments that have been submitted on the Project. Can I connect multiple QuickBooks accounts to HoneyBook?